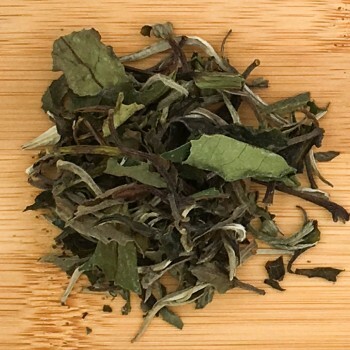 Soave blend of white Pai Mu Tan tea, whose name means White Peony, red rosebuds and rose petals. The softness of this tea enhances its sweet aroma, with light notes of cinnamon. A tea to make us dream of distant countries. White Peony is the poetic translation of the Chinese name. This tea comes from a "fine plucking", done around 15 days later the plucking of the first white tea grade, the Yin Zehn Silvery Pekoe. The manufacturing process is the same of the superior grade, while the taste of Pai Mu Tan is stronger. A tea for special occasions, for conosseures. 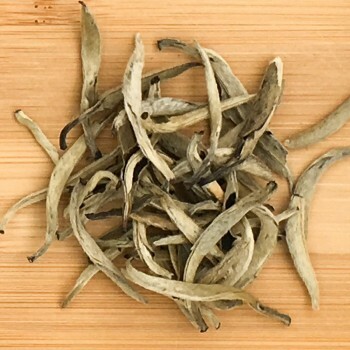 Bai Hao Yin Zehn (literally white needles of silver tips) is the absolute treasure of Chinese tea specialities, once said to be manufactured only as an imperial tribute, harvested by young girls by cutting the white buds with golden scissors. Exclusively made of perfect young spring buds, still covered with white hair, only for one week in early spring. 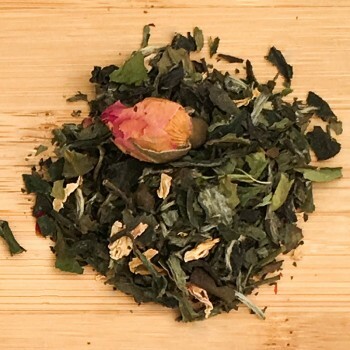 Rich in antioxidants compounds, caffeine but also L/Theanine: This highly refined tea comes traditionally from a cultivar of Camellia Sinensis called Big White, characterised by particurlarly beatiful and developed buds. It is highly appreciated by conosseaurs for the uniqueness of it's taste and aroma. Pleasing to the taste.